Orapin Paiponganurak was seven years old when she became afflicted with Rheumatoid Arthritis, a debilitating autoimmune disorder that attacks the joints. Born to a poor Karen family of farmers in a remote village in Mae Sariang, she was left with few options. For four years, Orapin stayed home and things got worse. Despite the fact that Rheumatoid Arthritis has multiple treatment options, she was never taken to a doctor or medicated in any way, because her family didn’t understand her disorder nor believe in modern medicine. And so, her condition continued to worsen, relentlessly attacking and disabling Orapin’s joints. The pain was unbearable, and before long she was unable to bend her knees or her back. 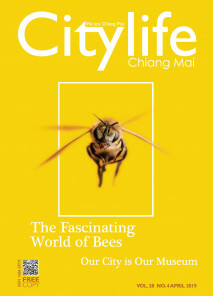 At age 11, Orapin was introduced by a former teacher to a doctor from Chiang Mai. 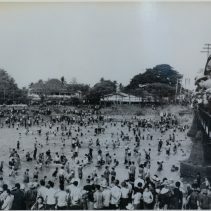 It was the first time a medical professional had examined her, and the doctor immediately brought her to government funded Suan Dok Hospital for treatment, where she stayed for nearly a year before relocating to McKean Rehabilitation Centre for continued care. Unfortunately, despite innumerable experimental surgeries and years of therapy, the damage had already been done. Orapin would not walk again. Today, Orapin is 37. Bright-eyed and ever-smiling, she has an impressive grasp of English and a charming laugh. The fact that she is confined to a wheelchair and back brace and deals with near constant pain neither defines her nor holds her back. In fact, she has turned her own history of suffering into a lifelong mission to help other people living with disabilities, and to combat the all too common stigmas against them. 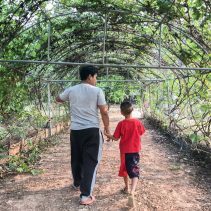 For the past eight years, Orapin has been living at the Tawan Chai Foundation, a modest living and learning facility in Chiang Mai, where people with disabilities both learn and teach self-sufficiency through organic farming. 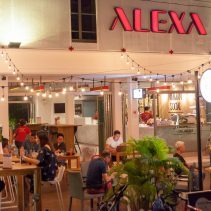 Located just east of the city, Tawan Chai was founded by Rathee Chaiyapornpattana, McKean’s former Social Director, and currently houses eight people. Chu Chat, the foundation’s first resident, lost both legs in a motorbike accident at age 17. 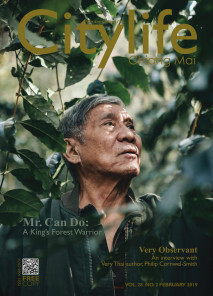 Now 44, he is a leader at Tawan Chai, a skilled electrician, plumber, farmer, welder, and permaculture expert. Married for nine years to a massage therapist (“But I don’t like massages!” he laughs), Chu Chat rides an adapted motorbike given to him by a Vietnam War veteran, and makes regular trips to rural villages and local prisons to teach workshops on organic farming. Orapin wheels gracefully around the property, giving me a tour of the garden, the piglets, the collection of egg-laying hens. She explains that the farming courses are available not only to those with disabilities, but also to tourists and able-bodied locals interested in learning something new. 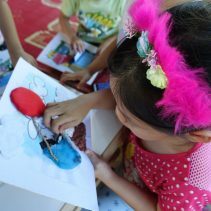 Donations from these students, along with funding from private donors, foreign embassies and NGOs, is what allows Tawan Chai to continue their mission of helping people help themselves. 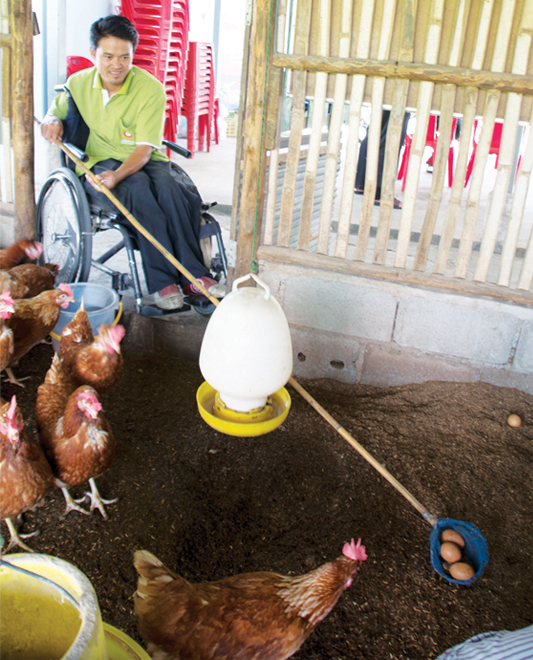 A resident of Tawan Chai collects organic eggs from the chickens. 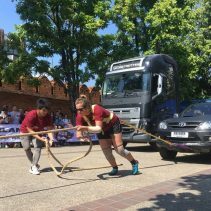 As such, despite her extreme mobility issues, Orapin dedicates a large amount of her time to travelling around the country, visiting people with disabilities and providing encouragement and support. She has a degree in social work, specialising in home development, which she uses alongside her own personal experience to provide support for those who need it most. “Their problems were my problems before, so I know what it’s like,” she says with a smile. 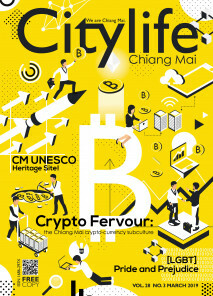 Don Willcox is the co-founder and president of the Foundation to Encourage the Potential of Disabled Persons, which has been based in Chiang Mai for the past 24 years. American expat Willcox, 81, and his Thai wife Piranan, a former practical nurse, have dedicated their lives to caring for Thailand’s many citizens, documented and not, who are living with disabilities. Over the years they have given away 22,000 pairs of reading glasses and 4,800 wheelchairs to those who can’t afford their own, frequently travelling deep into the border region to provide mobility to people who have spent most of their lives trapped in their own homes. As we sit on the front porch of the Willcox home, four friendly dogs lounging beneath the table, Piranan shows me pictures of a 95-year-old woman they recently helped. Blind and living in a broken down shack in Lamphun, the woman had lain prostrate for years on a thin mattress, filthy from incontinence. “On top of all that, there was a poisonous snake living under the mattress,” Piranan tells me, shaking her head. Happily, the foundation was able to provide the woman with a free wheelchair, a new mattress, and a new house. “Being able to do that comes with an enormous emotional reward,” adds Willcox. 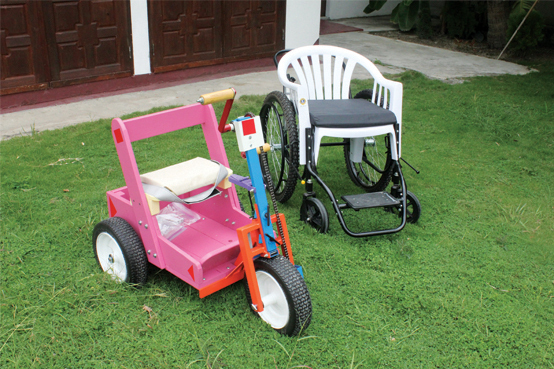 Specialised wheelchairs at the Foundation to Encourage the Potential of Disabled People. Most of the foundation’s funding comes from a small but loyal pocket of foreign donors, and wheelchairs come free from charities in America. Willcox is grateful for the help, but laments the lack of government-funded care offered in Thailand. 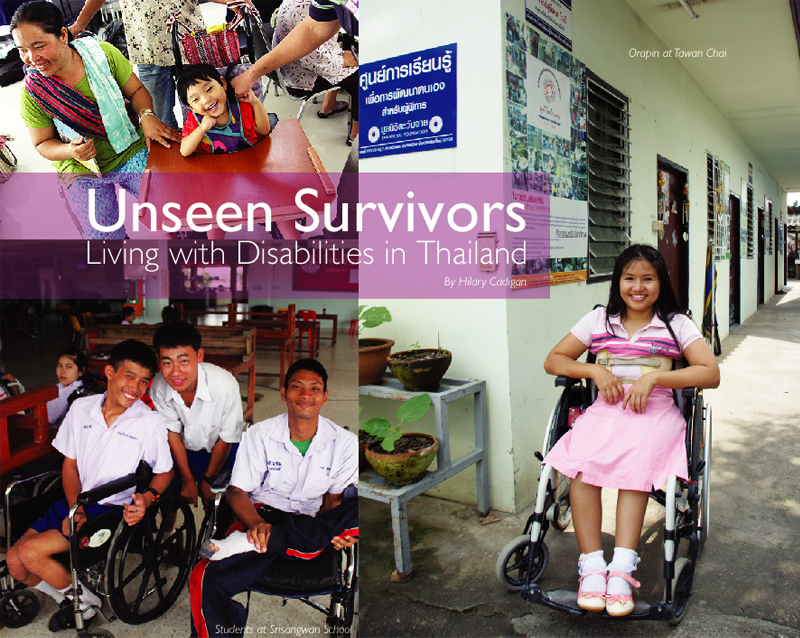 Indeed, the Thai government offers only 500 baht a month to people living with disabilities, no matter how severe. The elderly receive an additional 800 baht, but this isn’t nearly enough, especially since the vast majority of these people are unemployed. In addition, Willcox says, the Thai customs department charges exorbitant under-the-table fees just to get the donated wheelchairs into the country. According to a 2008 survey by the Asia-Pacific Development Centre on Disability, 71.5 percent of Thailand’s 1.9 million people living with disabilities are unemployed. Nearly a third receive no education. Indeed, it was only a little over a decade ago that the Thai government first acknowledged the need for educational programmes geared specifically toward those living with physical disabilities. 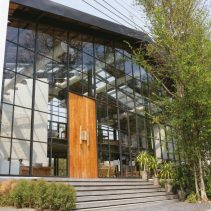 Chiang Mai’s Srisangwan School, established in 2001, was the first in the country to cater specifically to children with physical disabilities. Today, it is one of only two such schools in all of Thailand, the other of which is in Khon Kaen. 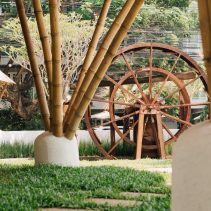 Located just a few kilometres past Mae Jo University, Srisangwan is a welcoming haven and a hopeful sign of a more encouraging future for those living with disabilities in Thailand. The spacious brick buildings are fringed by smooth concrete playgrounds populated by smiling children – 306 in all, despite the schools 280-person capacity – hizzing about on walkers and wheelchairs. 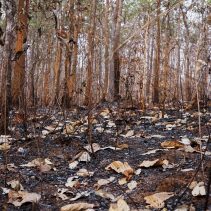 It’s clearly a well-funded operation, with an unprecedented level of accessibility compared to the rest of Thailand. Elevators and ramps abound, along with special desks customised to fit a wheelchair. “Our goal is to encourage self-sufficiency,” says Phuangtong Sriwilai, the school’s director, in Thai. Friendly, energetic, and dressed in denim, Phuangtong doesn’t resemble the average Thai government worker, and acknowledges this with a laugh as we sip coffee in her office. She explains that attending Srisangwan is completely free, aside from two annual fees: 500 baht for clothes washing and 100 baht for wheelchair repair insurance. The school can also provide wheelchairs free of charge. “About 60 percent of the students here come from the mountains and are very poor,” she says, adding that many of their disabilities come from poor birthing facilities and motorbike accidents (indeed, Thailand holds one of the highest rates of road accidents in the world). 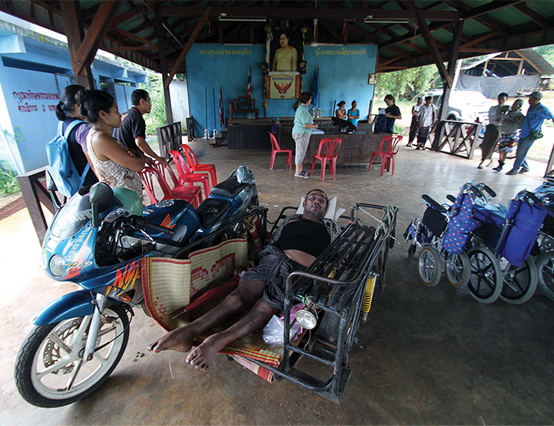 Phuangtong acknowledges Thai society’s Buddhist notions of karma, noting that the religious and cultural stigma against people with disabilities began with early Buddhist parables of people whose disabilities were the direct result of specific actions in a previous life. For example, someone who cuts the neck of a chicken might not be able to speak in her next life; someone who stabbed his neighbour’s eyes out might be reborn blind. Despite Thailand’s increasing levels of tolerance, there are still major issues with accessibility, particularly in the northern provinces. Nic Brown, 36, a Canadian expat who was shot in a Nimmanhaemin bar in June of last year and paralysed from the chest down, can attest to these issues firsthand. “There are basically no washrooms I can go into, except at some malls, so I usually just have to pee in the street,” says Brown. We’re at the Maharaj Rehabilitation Centre, where he has just finished his bi-weekly physiotherapy session. Since the shooting, he has learned to live life in a wheelchair, and is now quite adept at manoeuvring the streets of Chiang Mai, thanks to Maharaj’s garden obstacle course and friendly team of physical therapists. But it hasn’t been easy. So instead, Brown opts for the streets. I join him on his route home, from Maharaj to a guesthouse in the northeast corner of the city. He wheels the whole way, often having to take rather roundabout routes to avoid the steep red and white striped curbs that circumscribe the city (“This is how I get my cardio!” he says). On the way, we observe the reactions of passersby, which range from over-the-top attempts at assistance to utter disregard. Walking next to him, I dodge vehicles that skirt by within centimetres, and Brown recalls the time he got hit by a car not long ago. Down Canal Road, just behind the new building that’s shaped like a piano, you’ll find the RICD Wheelchair Project headquarters. Serving under the Rajanagarindra Institute of Child Development (RICD), the project was founded in 2000 by RICD Director Dr. Samai Sirithongthaworn. Today, daily operations are in the hands of a dedicated team of both Thai and foreign volunteers, who travel throughout the country and to surrounding areas like Malaysia, distributing wheelchairs to those that need them most. 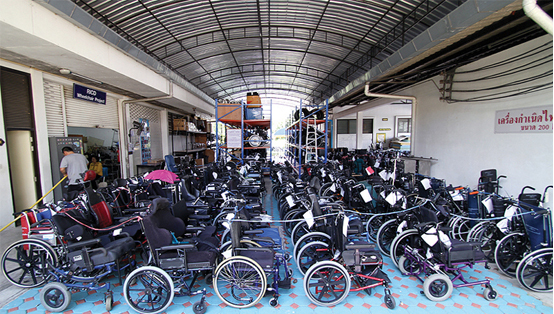 At RICD’s warehouse, hundreds of donated wheelchairs wait for distribution. In addition to planned distributions, which require a full application form featuring information about specific needs and photos of the person’s home so as to fit them with the proper equipment, RICD receives an average of five or six unplanned visitors each day, who line up in the early mornings for wheelchair fittings. “Sometimes these people are driving five or six hours to get here,” says expat project manager Alex (name changed by request). “We can’t send them away, so we have to be flexible. Anyone who needs a wheelchair will be taken care of, no matter how long it takes.” And so it goes; since its inception, the Wheelchair Project has distributed over 17,000 pieces of equipment, most of which are donated from abroad and assembled onsite in Chiang Mai by RICD’s hardworking volunteers. 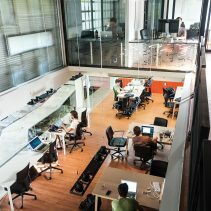 Each distribution comes with a medical check, a professional fitting and extensive safety training, and every person is entered into a digital system that is carefully tracked and monitored. Wheelchairs that are broken or outgrown can be exchanged for new equipment; the only rule is that they can’t be sold. 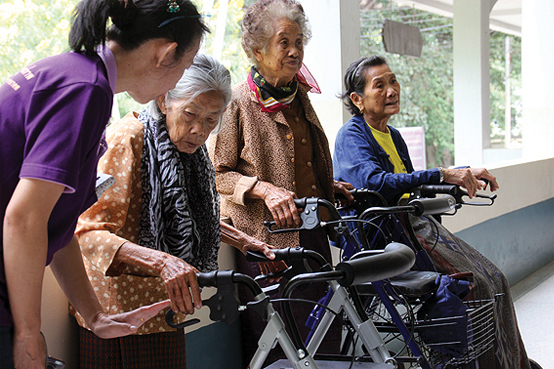 Local elderly women are trained to use their new equipment by RICD’s volunteer technicians. While comical at times and frustrating at others, these well-meaning developments are a vast improvement from a decade or two ago, when the Chiang Mai airport didn’t even have disabled parking spaces (Don Willcox actually hand-painted the first ones himself). But as is generally the case, education is crucial in making Thailand more accessible and accepting to those living here with disabilities. This man broke his neck ten years ago in a motorbike accident and became a C-level quadriplegic, unable to move until he received his first wheelchair from RICD. Thus, the Wheelchair Dance was born. Featuring impressive break-dancing moves set to popular hip-hop music, the team debuted their dancing at a local school dance competition, where they competed against able-bodied kids and won gold. 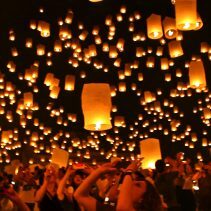 From there, they kept moving up, becoming a national sensation on the way, until they reached the final round of Thailand’s Got Talent. There, they performed their routine (a YouTube must-watch, if you haven’t already) to Lil Jon’s dance anthem “Turn Down for What” and won the grand prize: ten million baht.